The High Court has rejected a legal challenge against the government's plans to improve air quality. Campaign group ClientEarth had brought the case, saying draft measures on cutting nitrogen dioxide levels were flawed and "plainly unlawful". The court ruled last year that government plans to meet air quality limits were inadequate. But a judge refused the application for an order that a further consultation should go ahead. Nitrogen dioxide limits were introduced in EU law in 1999, with the aim of achieving them by 2010. Mr Justice Garnham said in May 2016 that the government's plans to meet the limits must be improved. The High Court judge said he found no reason to rule there had been illegality. ClientEarth said the government's final plans could be open to a legal challenge if some of its concerns were not addressed. Its chief executive, James Thornton, said the court's judgement had sent a "clear signal to ministers that they must improve on their draft plans to reduce air pollution as soon as possible". 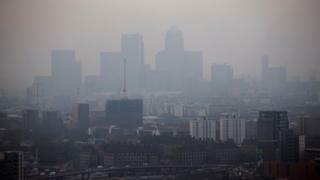 Oliver Hayes, air pollution campaigner for Friends of the Earth, said the government was "increasingly out on a limb when it comes to air pollution". He added that without adequate Clean Air Zones pollution was set to remain at illegal levels. A Defra spokesman said: "Improving the UK's air quality and cutting harmful emissions is a priority for this government and we will continue to work towards publishing our final plan by 31 July."